You want it, you get it – on popular demand, we are currently working under high pressure to present you moving models. Through a simple control element, you will be able to bring the model to the desired pose. So you can plan incredibly flexible and creative your light setting. 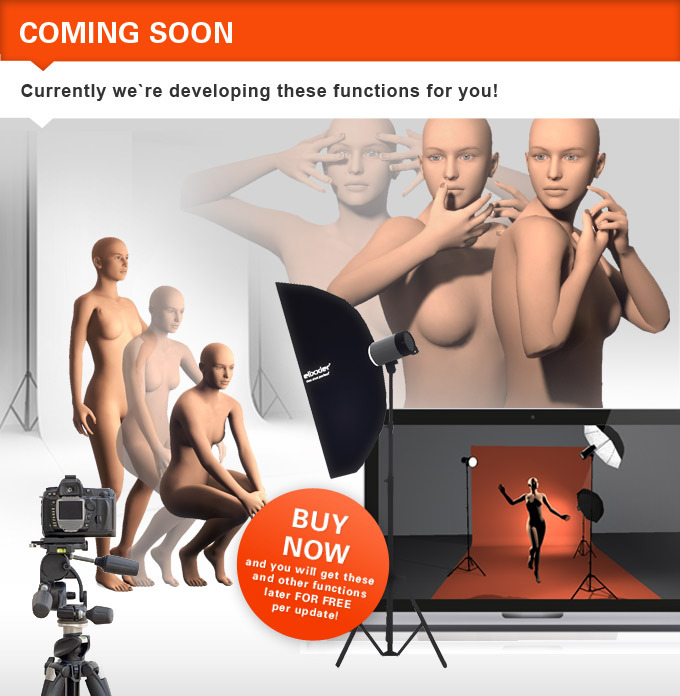 Now you can also show the model the desired pose even before the shooting. A more flexible preparation has never existed! And best of all, this mannequin will you get for FREE via update! We also prepare many more features and options, these will get you later also for free. At intervals of 6-12 weeks, we have FREE updates which expand your software more and more. Previous: How to Create Documentations, School and Workshop Material with set.a.light? Is this functionality available now?